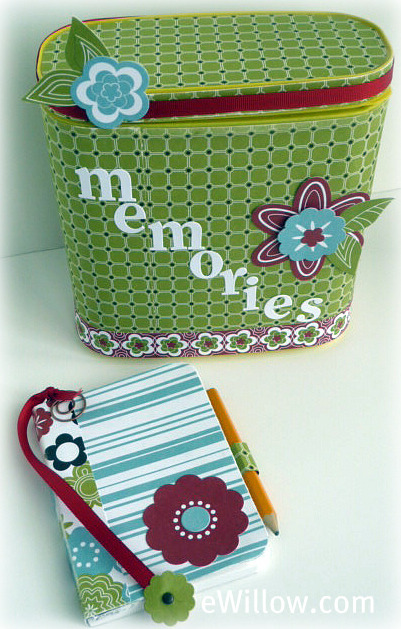 Now that you have your Nesquik container memory box, why not add a little journal to put inside so you can jot down little notes to yourself? 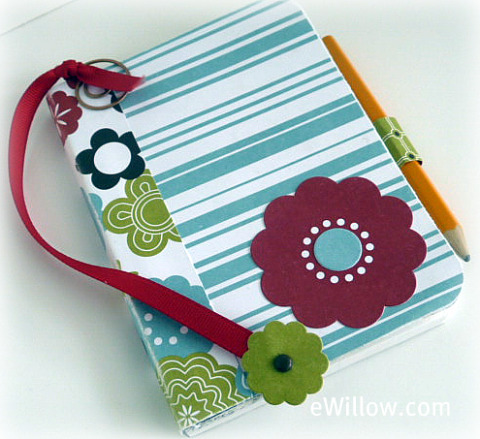 You can make this coordinating journal by using a miniature composition notebook. The book measures 4-1/2" x 3-1/4" and is the perfect size to hold a small pencil on the side. 1) Cut two pieces of decorative paper 4-1/2" x 3-1/4" and round the corners. Adhere one piece to the front of the notebook and the other piece to the back of the notebook. 2) Cut one contrasting piece of decorative paper 4-1/2" x 2-1/2". Adhere to the front, side, and back of the notebook. 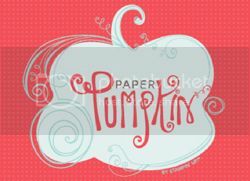 3) For the pencil holder, cut a piece of decorative cardstock 3/4" x 3". 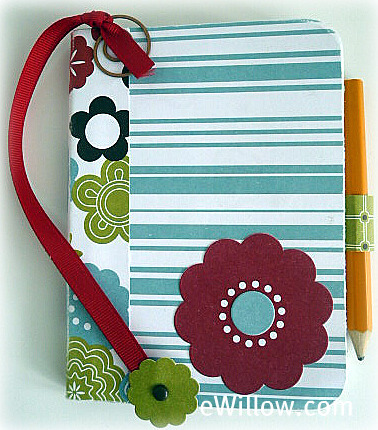 Make a loop and adhere to the back cover of the notebook. 4) For the bookmark, cut a piece of ribbon approx. 8" long. Tie one end to a decorative paper clip. Add an embellishment to the other end.